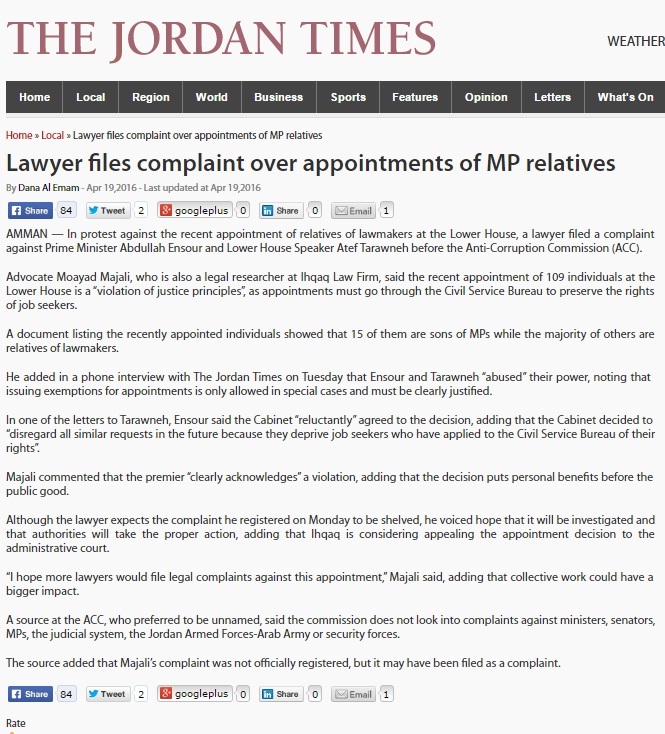 By Dana Al Emam – The Jordan Times – AMMAN — In protest against the recent appointment of relatives of lawmakers at the Lower House, a lawyer filed a complaint against Prime Minister Abdullah Ensour and Lower House Speaker Atef Tarawneh before the Anti-Corruption Commission (ACC). Advocate Moayad Majali, who is also a legal researcher at Ihqaq Law Firm, said the recent appointment of 109 individuals at the Lower House is a “violation of justice principles”, as appointments must go through the Civil Service Bureau to preserve the rights of job seekers. A document listing the recently appointed individuals showed that 15 of them are sons of MPs while the majority of others are relatives of lawmakers. He added in a phone interview with The Jordan Times on Tuesday that Ensour and Tarawneh “abused” their power, noting that issuing exemptions for appointments is only allowed in special cases and must be clearly justified. In one of the letters to Tarawneh, Ensour said the Cabinet “reluctantly” agreed to the decision, adding that the Cabinet decided to “disregard all similar requests in the future because they deprive job seekers who have applied to the Civil Service Bureau of their rights”. Majali commented that the premier “clearly acknowledges” a violation, adding that the decision puts personal benefits before the public good. 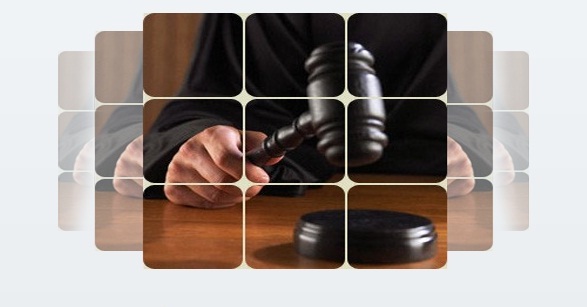 Although the lawyer expects the complaint he registered on Monday to be shelved, he voiced hope that it will be investigated and that authorities will take the proper action, adding that Ihqaq is considering appealing the appointment decision to the administrative court. “I hope more lawyers would file legal complaints against this appointment,” Majali said, adding that collective work could have a bigger impact. A source at the ACC, who preferred to be unnamed, said the commission does not look into complaints against ministers, senators, MPs, the judicial system, the Jordan Armed Forces-Arab Army or security forces. The source added that Majali’s complaint was not officially registered, but it may have been filed as a complaint.